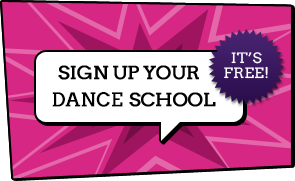 So you’re considering enrolling your child at a dance school – well you’re in the right place! If you haven’t found a dance school yet, you’re bound to find a few local theatre schools or dance classes listed on our website. But we’re also here to guide you through the process and help if you have any questions about dance lessons for children. If you don’t know much about dance but think your son or daughter would benefit from attending weekly lessons, then read on to have all your questions answered about enrolling your child at a dance or theatre school. There are many activities on offer for children, and all have their benefits, but dance ticks a lot of boxes. As a physical activity, it is great for fitness and improving coordination, and can help prevent childhood obesity which is a growing problem in the UK. It is also a great way to boost confidence and allows your child to develop social skills and make new friends. Dance schools provide lessons in all sorts of styles, from traditional children’s classes such as ballet and tap to street dance and contemporary. It is hard to choose a style which will suit your child best, the only way to find out if they like it and have a talent for a type of dance is to try it out. Let them attend a few different styles and then choose their favourite, or attend multiple classes in different styles. What age can they enrol? Many dance schools have pre-school classes which start at age 3. The most common types of classes for toddlers are baby ballet and creative dance classes. However each dance school will have their own age limits to check before trying to enrol. Classes for toddlers are fun and will mostly involve dance games and the use of props and songs to engage children while learning basic steps. Each dance school will have their own rules about parents and carers, but most will not allow you in the room while your child is in dance class. This is because it is very distracting for children to have their parents watching, and also presents difficulties for the teacher. When many parents gather in the dance studio it can turn into a mother’s meeting which is not productive for the dance class. If you are unsure about leaving your child in the care of the dance teacher, do your research before enrolling. See if the teachers and owners of the school have proper qualifications, first aid training and check that every teacher has an enhanced DBS check. Some schools may allow parents and carers into the classroom for a taster class or an end of term showcase so you can see how your child is progressing. Will my child take exams? This depends on the type of dance school you enrol at and the style of class your child attends. Ballet, tap, ballroom and disco dancing classes often involve exams but they are rarely compulsory. However, dance exams are there to reward children and to give them a goal and sense of achievement, so it is often a positive experience. If you have any more questions, feel free to contact us or ask us on social media. Specific questions should be directed to individual dance schools.